Should Dialysis Companies Treating Chronic Kidney Disease Patients Be Making Record Profits? As Proposition 8 (an initiative to cap Dialysis Company profits at 15%) is set to appear on the California Ballot - and possibly ballots in other states across the country afterward - the earnings of Dialysis Organizations are being put into the spotlight. Large Dialysis Organizations have already contributed more than $8 million to oppose Proposition 8 while supporters of the measure have amassed $6 million to push the proposition forward. Still, recent figures released by well-known publications are causing some to pause and evaluate massive earnings as it relates to patient care and whether it is good or bad Chronic Kidney Disease and Dialysis patients. Take a look at the profit figures and tell us what you think. As Proposition 8 (an initiative to cap Dialysis Company profits at 15%) is set to appear on the California Ballot - and possibly ballots in other states across the country afterward - the earnings of Dialysis Organizations are being put into the spotlight. Large Dialysis Organizations have already contributed more than $8 million to oppose Proposition 8 while supporters of the measure have amassed $6 million to push the proposition forward. Still, recent figures released by well-known publications are causing some to pause and evaluate massive earnings as it relates to patient care and whether it is good or bad for Chronic Kidney Disease and Dialysis patients. Take a look at the profit figures and tell us what you think. The Los Angeles Times published, "The two dominant for-profit Dialysis Firms, Denver-based DaVita and German-owned Fresenius, report pretax operating profits in the billions and margins of 18% to 19%." This has been met with mixed responses from the Chronic Kidney Disease Community, with some patients applauding the firms for their great care and terrific business savvy, while other patients do not feel as though they are getting high-quality care and find such earnings to be shocking since they struggle on a fixed income. 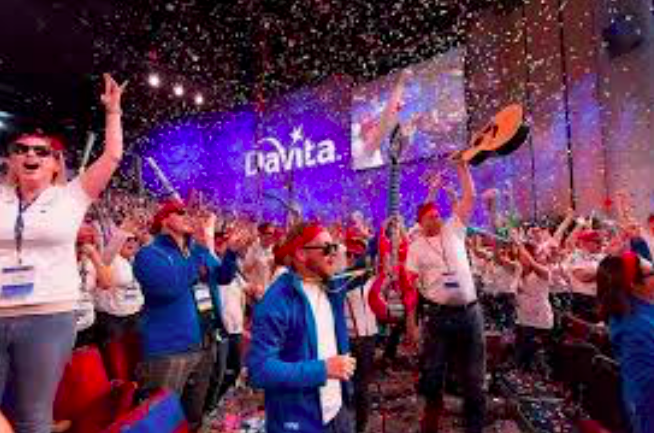 More specifically, in 2017, DaVita earned about $1.8 billion in pretax operating profit of $10.1 billion from Dialysis Patient-Related revenue. Fresenius reported pretax operating profit of $2.3 billion on Dialysis Patient-Related revenue of $11.7 billion for North America. Most of the feedback that KidneyBuzz.com gets as it relates to Clinics is not that they make profit - in fact, having a profitable business ensures that Dialysis can continue to be offered to patients. However, the primary difference is in care. Some patients find that they have exceptional care at Dialysis with great service and kind and friendly Healthcare Professionals. Others believe that their treatments can be improved with more staff, safer facilities, more cutting-edge technology, and better-trained professionals. It is important to note that DaVita and Fresenius operate approximately 4,900 outpatient clinics and serve about 400,000 patients - accounting for roughly 70% of all Dialysis Patients. Hence, the Dialysis Companies are given an awesome responsibility to keep patients alive, but are they making too much money in relation to the service and resources patients are getting? On the other hand, are the profits simply the rewards of a job well-done for caring for the vulnerable population of Dialysis patients? Let us know your thoughts, by leaving your comment on the KidneyBuzz.com Facebook Page (click here). Get others involved in the discussion by sharing this article far-and-wide. Also, Like KidneyBuzz.com while you are there, and consider following the over 250,000 monthly visitors to KidneyBuzz.com for your Number One (#1) source of Daily News, Information, Impact Meals, Inspirational Quotes, and tailored Products and Services which teach Chronic Kidney Disease, Dialysis, Diabetes and High Blood Pressure patients how to better manage and improve their lives.